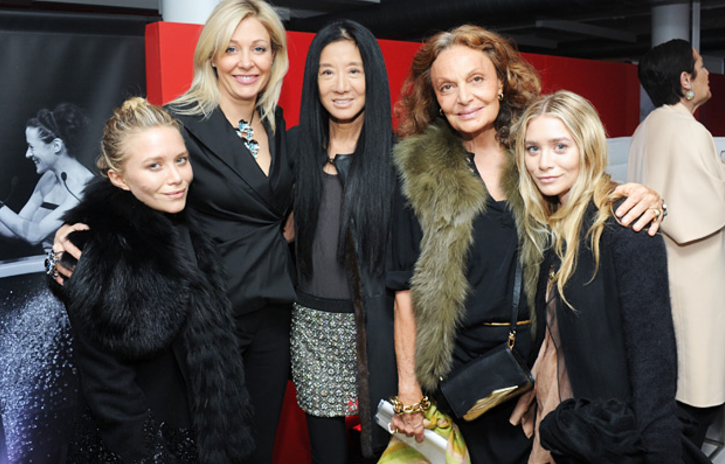 Diane Von Furstenberg and Nadja Swarovski have recently announced the nominees for this year’s prestigious CFDA Awards, which are due to take place on 3 June. The Council of Fashion Designers of America recognises the outstanding contributions made to American fashion by individuals from all areas of the industry and related arts, with awards being given for design excellence in womenswear, menswear and accessories as well as extraordinary accomplishments in journalism, creative vision and lifetime achievement. Alexander Wang, Marc Jacobs, and Phillip Lim are all in the running to win an award this year whilst confirmed winners include Oscar de la Renta who will receive Founder Awards and Givenchy’s Riccardo Tisci, who has been named the recipient of the International Award. Last year’s event saw Mary-Kate and Ashley Olsen take to the stage to pick up the Womenswear Designer of the Year (beating off competition from this year’s nominees Marc Jacobs and Proenza Schouler) for their label, The Row. There were also appearances from Kate Bosworth in Altuzarra, Dakota Fanning in Proenza Schouler and a bevy of Victoria’s Secret models.